I propose a question to you my brothers and sisters at TG, have you ever loved a series or franchise of gaming so much that you'd dedicate you life to seeing that franchise or series grow by making your own game? Well one such young woman that I had the chance to speak to today gave me her answer: "Yes". I had the opportunity to speak with "Sammi" lead designer for an independent Castlevania project entitled "Sonata of Melancholy". Now a lot of us remember the good 'ol days of gaming, back when the newest fanciest graphics engine didn't way on our minds. What did, was story, and gameplay, that's what mattered to us. Sonata of Melancholy's story has been written by the same person who holds the game design document in her hands as I write this. Sammi has chosen to pick up where a good poriton of the series has left off, left fans of the series wanting more and asking questions. Sammi seeks to do just that by creating a new character named "Anna" and answering those lingering questions that have left fans disenfranchised with Konami. Art..boy has sammi hit a home run here, this is some of her promo artwork for SoM, and it's absolutely fantastic. With promo art like this and talent like this, this is a project we can defiantly expect to see come to fruition. This particular piece is of the main character and is utterly brilliant. I know we wont be able to see art like this in the finished project, but it's still nice to look at and shows the talent behind the project's leader. 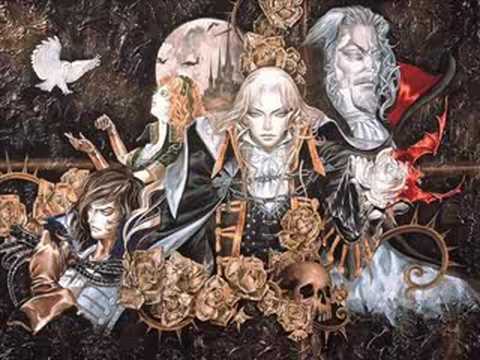 Sound design is always a big worry with a lot of games, but the Castlevania series has always been know for it's dark, orchestral music and Sammi has plans to hold true to that music and for those who've not yet had the chance to hear it, take a listen to staple Castlevania music. Of course this was from the Sega Saturn and has some other elements to it's music, but we can expect the same level of music and emotion from Sammi, that much I have no doubt. Expect to see the same style of gameplay that the original games in the series had with the same level of attention to detail, and attention to the little things. Let me say it straight folks, this is going to be a 2D side-scrolling platfomer, and it's been intended to be that way from day one. So expect a challenge and smoothness games like this can bring to the table. Also as a note, Sammi intends live action cut scenes to help drive the story along and has promised that she intends to keep that transition from game-play to FMV as smooth as possible. There's plenty more to cover folks and plenty of reason for fans of the Series to watch and wait for what I'm sure will be a fantastic and welcomed return to some classic gaming. Nice article Damion, its nice to read about some of these indie ventures. Its nice knowing that there are still content developers out there that care about what makes a game great. Keep up the articles! weigh...not way....but good article none the less.